If you have ready my latest outfit post, you will know that I recently collaborated with PrettyLittleThing on their new range of dresses. 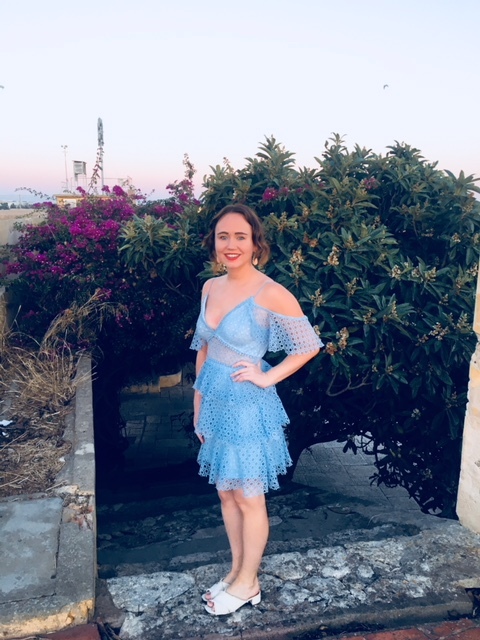 Having already shared one look I thought I would share another with my readers as I have just got back from an amazing vacay to Portugal and they have the most colourful and instagrammable backdrops! Can I move there please?! We stayed in southern Portugal in Praia Da Rocha, which has the most beautiful stretch of beaches, flowers everywhere and stunning sunsets...what's not to love? 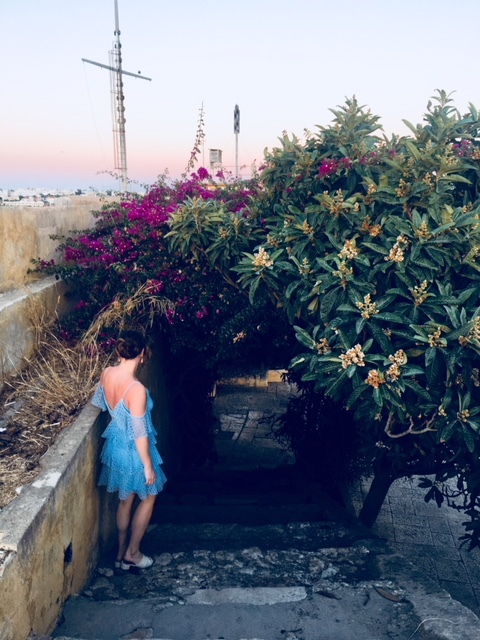 The area I chose to take the photos of this PrettyLittleThing dress is called Fortaleza de Santa Catarina which is the remains of a medieval fort, inside you find lots of steps dressed with purple flowers at the top a picturesque view across the ocean. Sounds perfect right?! 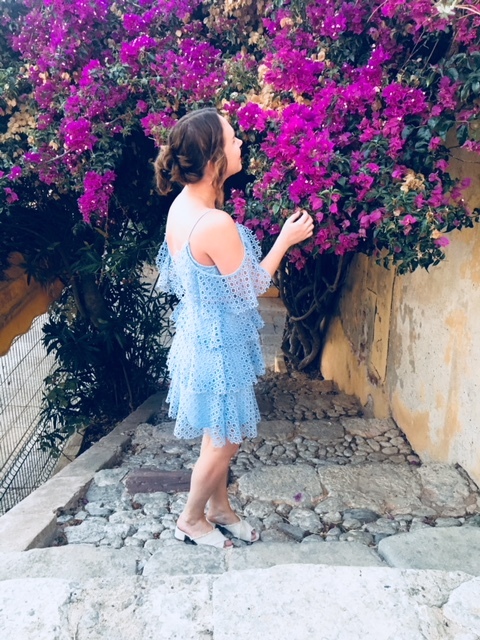 It wasn't just the view and location that were perfect but also the PrettyLittleThing dusty blue lace cold shoulder shift dress. With so many feminine details including lace, tiered ruffles, cold shoulder and a v shaped neckline it's definitely worth the £40 price tag. I'm so glad I got the chance to wear this lace dress before summer ended but I already have plans to wear it next summer in the UK to a party or wedding. 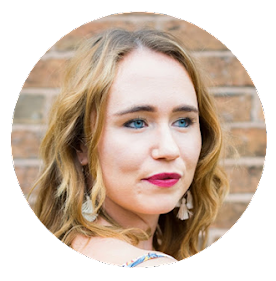 I picked this summery dress in a stunning blue shade because its one of my favourite colours and brings out the blue in my eyes. If you're not a fan of blue, it also comes in white and a dusty pink which are also equally lovely. 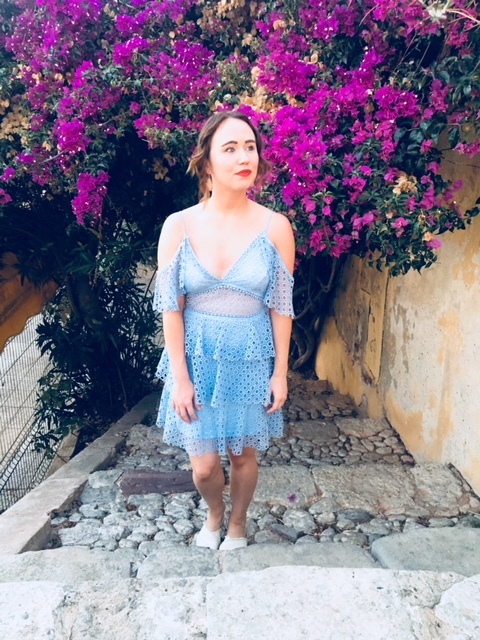 Look out for more of my Portugal holiday outfits coming soon to Call Me Liz. Are you a fan of lace dresses? I love the colour of the dress. You don't see many in that colour. Not seen any in that style either. That dress is lovely, it really suits you! 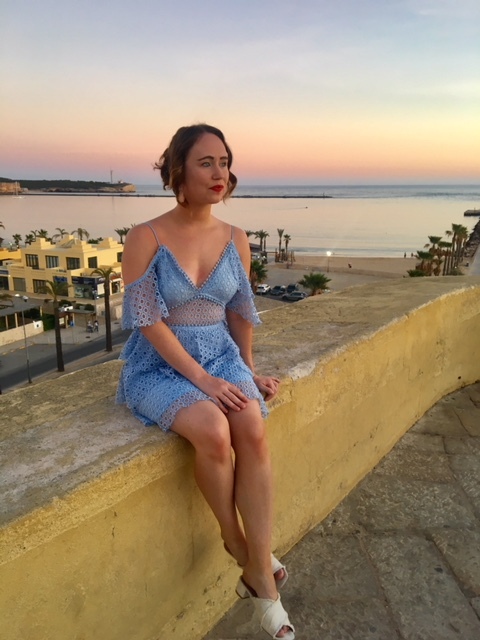 Lovely colour dress and Portugal makes a great backdrop! Oh wow what a great collaberation and such a pretty dress!! It really reminds me of a modern day fairytale and it look amazing on you!